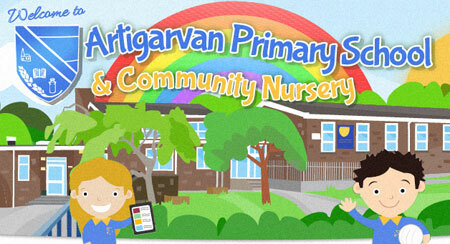 Artigarvan Primary School and Community Nursery are committed to providing a happy, secure and caring environment in which our children can learn. We look to the education of the whole child so that each of their needs can be met and their full potential developed. We look to do this not on our own but in partnership with our parents. We are continuing with our "Active School Travel Programme" this year. Our aim this year is to achieve our Silver award Last year Ronan ran fantastic competitions and training in our school, I'm sure there are lots more activities for this year! 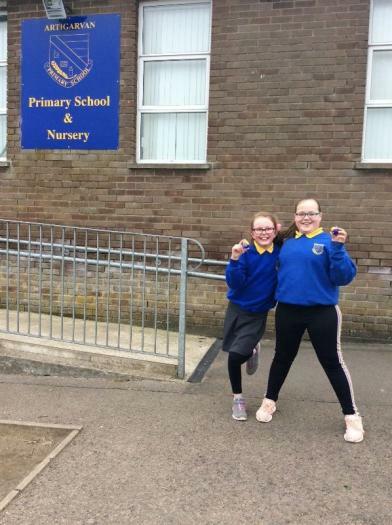 Each Friday for Golden Time a Year group will be allowed to bring their bikes or scooters to school to use on the playground. We hope this will encourage more of you to travel to choose an active way of travelling to school and to get more children outside and exercising for longer. I look forward to updating you more on this exciting programme within our school, for now, why not take a look at the Sustrans website where you can read about the results and testimonies from current and previous participating schools. Get revising your multiplication facts at home, remember to sign-up in school. T-Team is held each Wednesday at 10.25 in Mrs Kane's room, see you then! Mandarin Chinese Workshops 9.55-11.55 a.m.